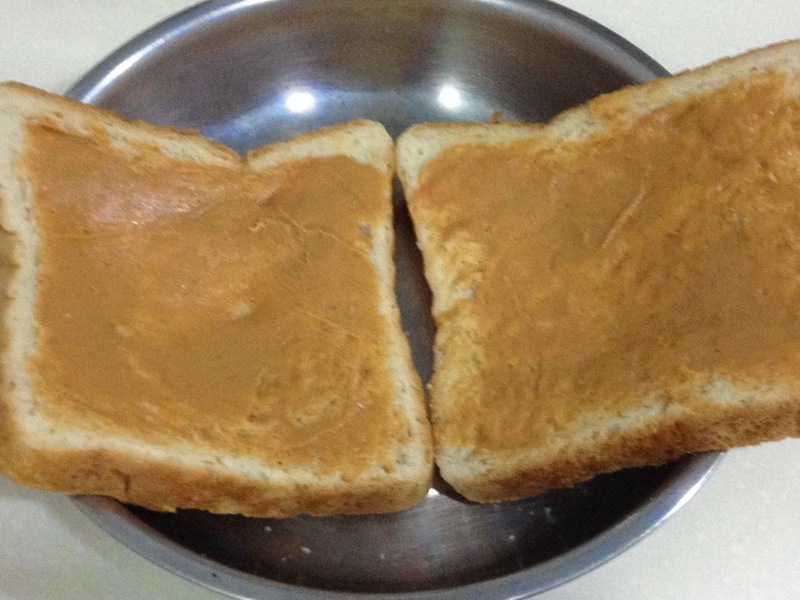 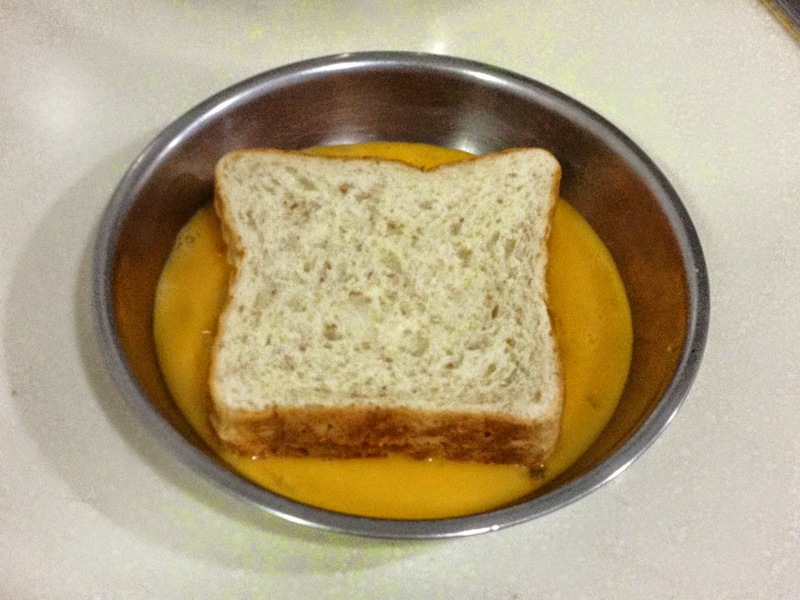 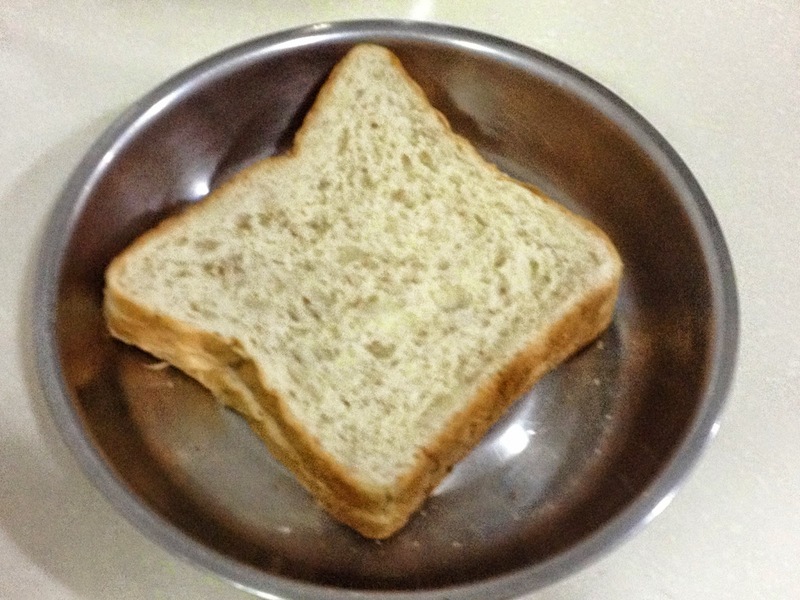 Spread peanut butter at one side of the bread, combine 2 slices together. 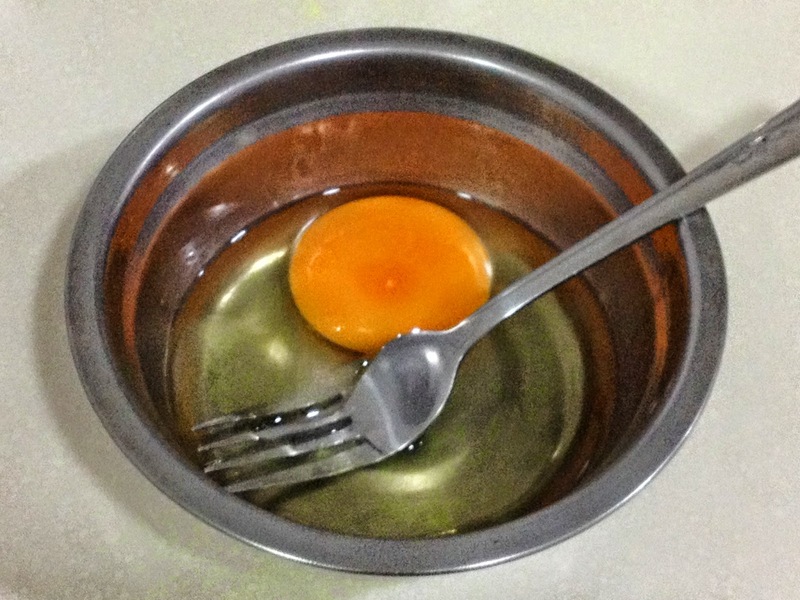 Mix egg with sugar, lightly beaten with a folk, put in a plate. 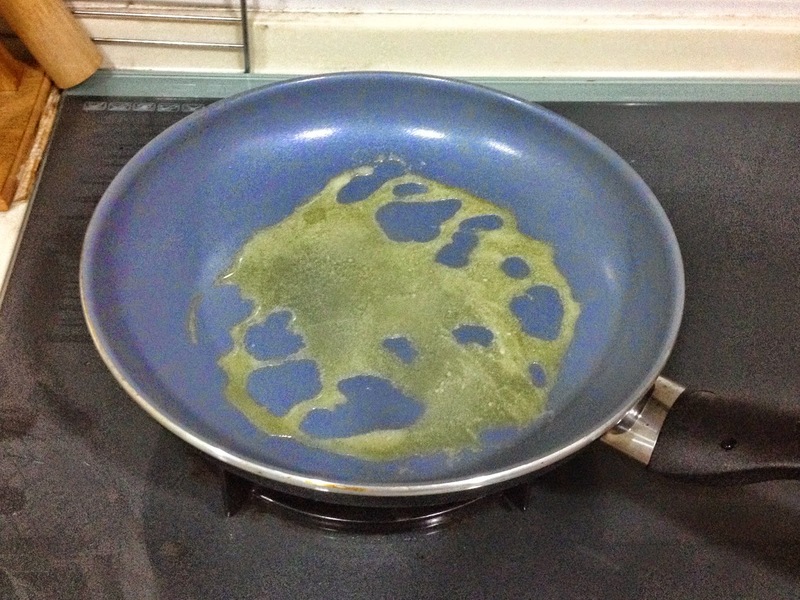 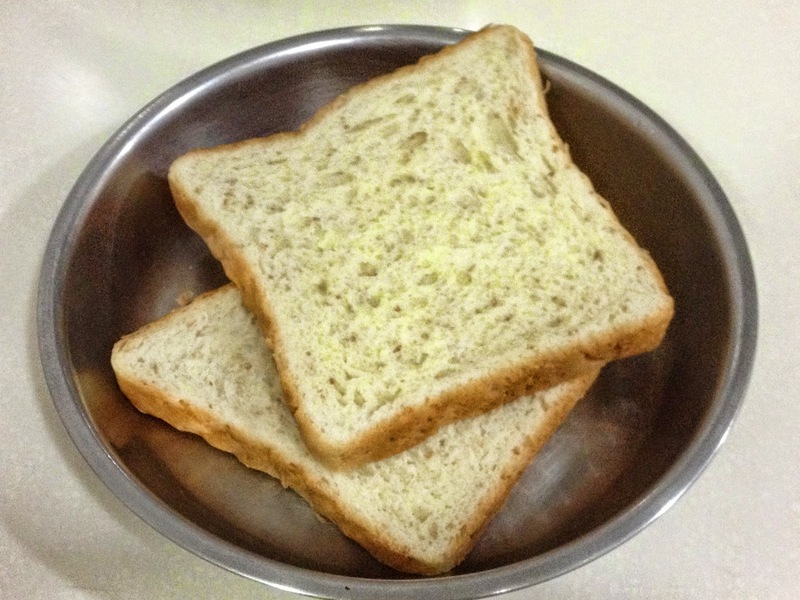 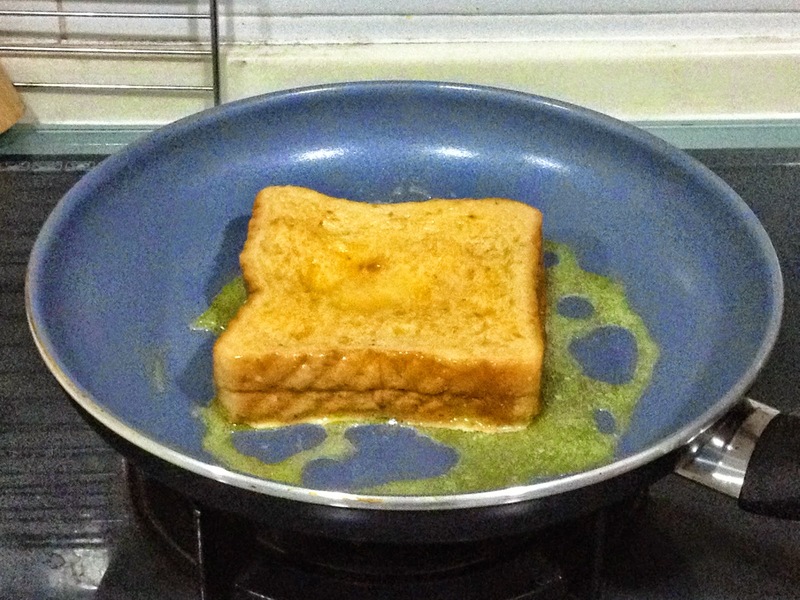 Dip the bread into the egg mixture, let it absorb the egg mixture completely. 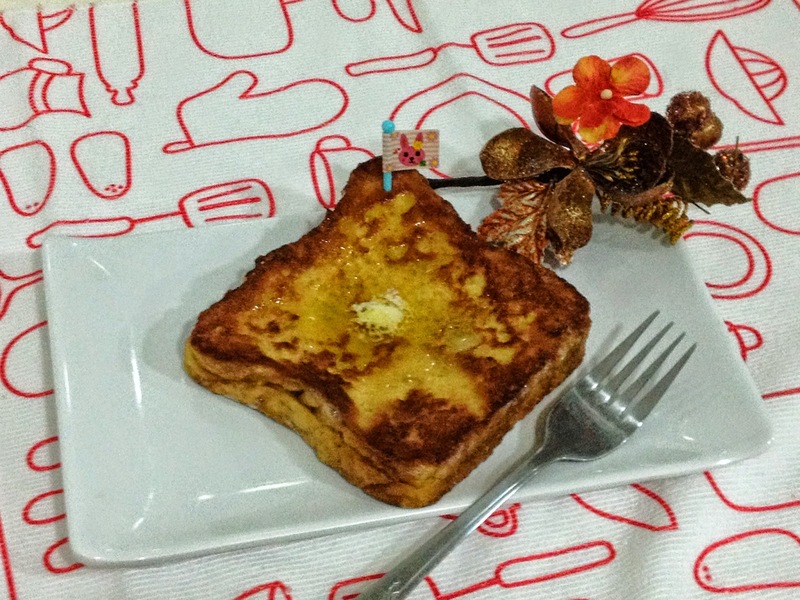 Serve immediately with some butter and honey. 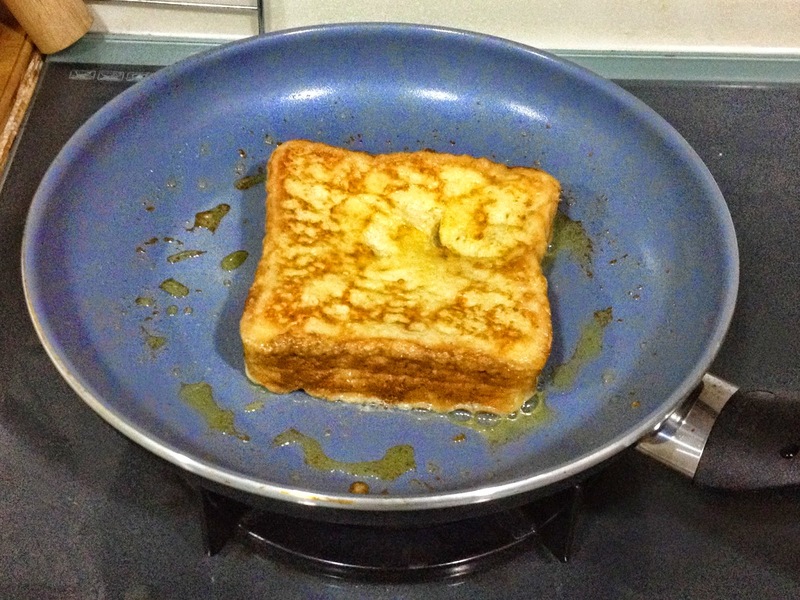 Jozelyn, for my french toast, I always make single deck (1 slice only) and your "double decker" <'gaip' together> looks really good and yummy! 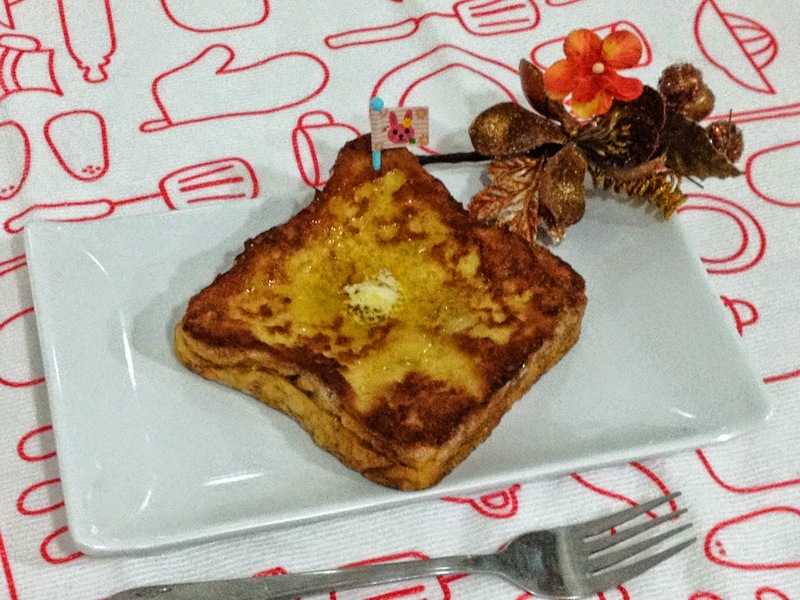 hahaha, this is my first attempt on the HK style french toast. 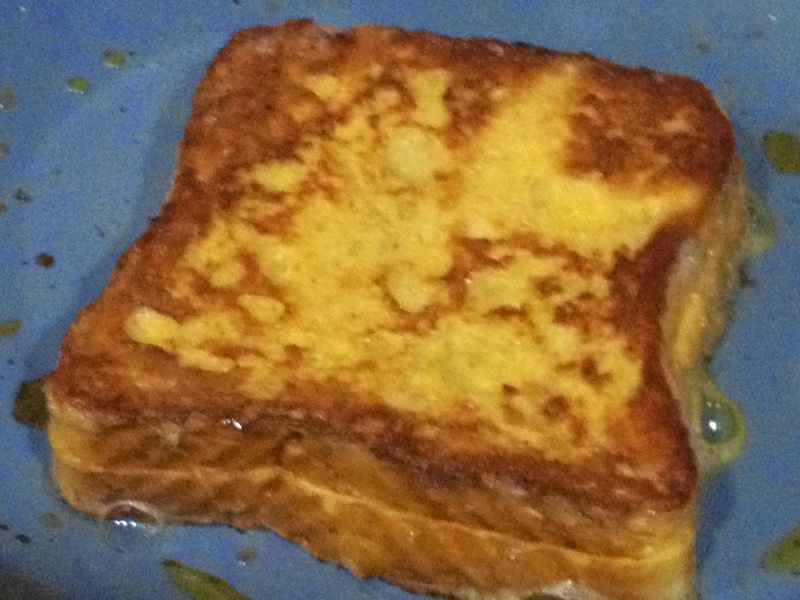 I believe for single deck french toast, the toast is slightly thick, right? 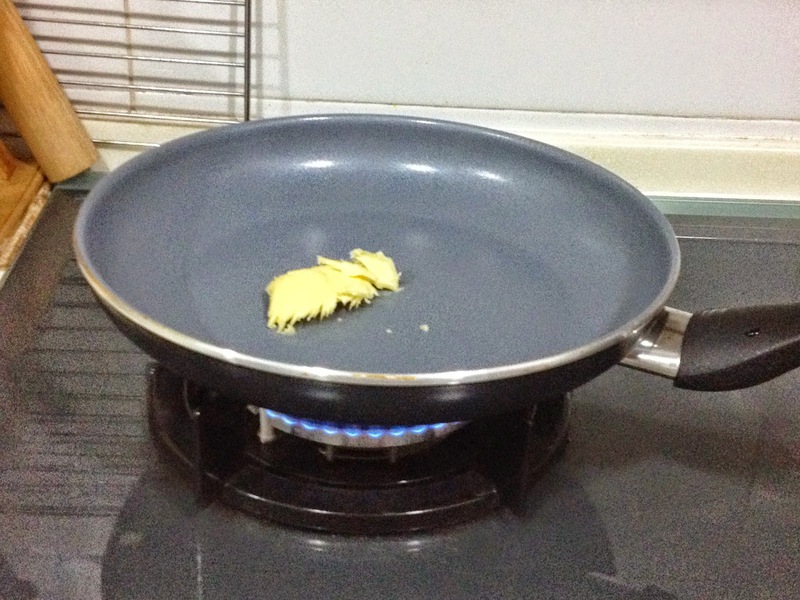 Hee hee hee...have a nice day! 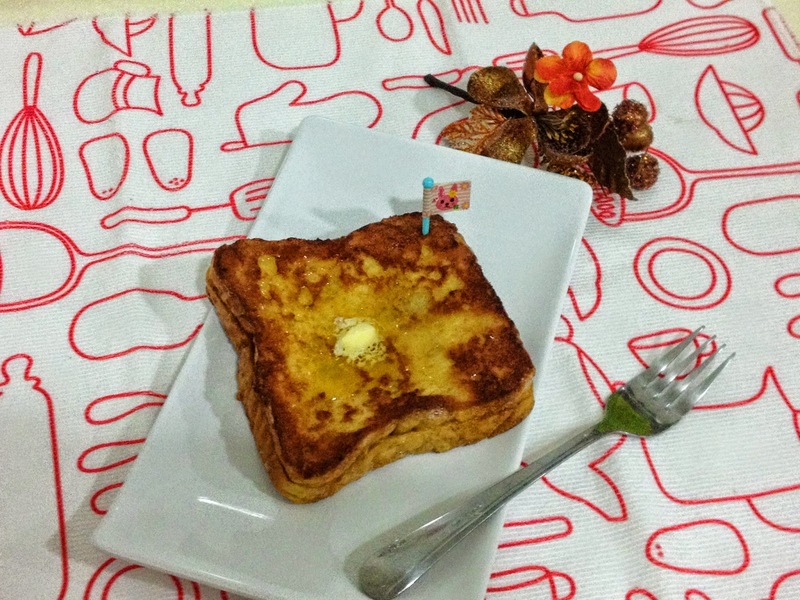 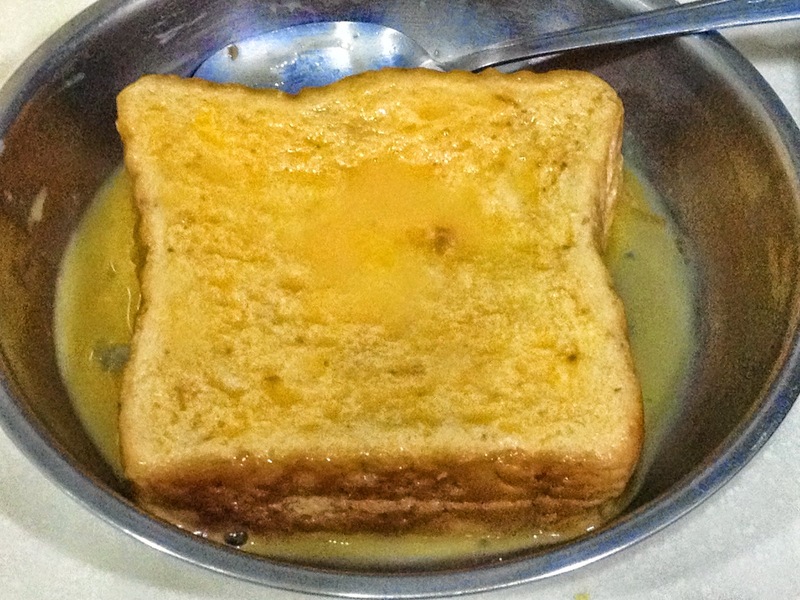 usually I am too lazy making into French toast, just eating plain , hehehe..